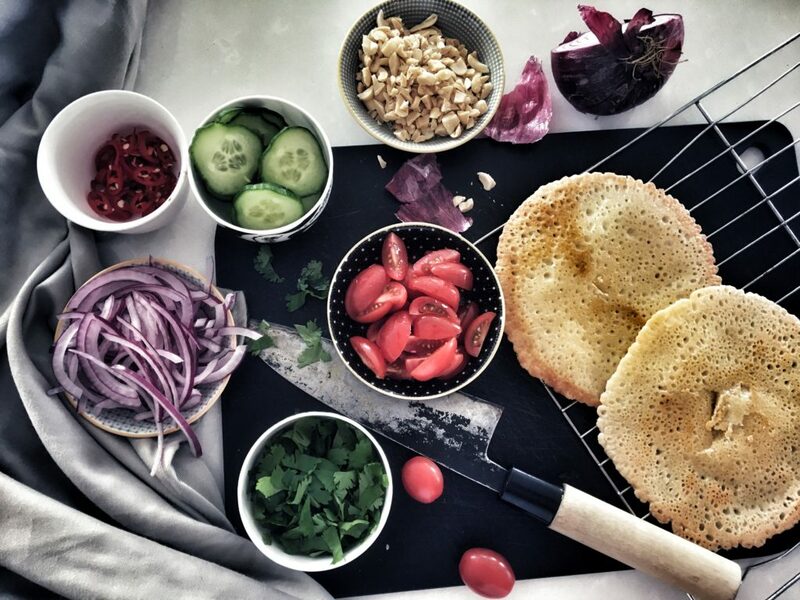 ﻿ Gluten Free Flatbreads - I AM Co.
After the weekend there’s not much left in the fridge so we love to whip these up, add in some raw veggies, chopped peanuts, coriander, drizzle over some sriracha & aioli…. DONE! So darn YUM! Best thing is, these flatbreads are not only gluten-free but also dairy-free, vegan and paleo-friendly. Place ground almonds, arrowroot & salt into a bowl then whisk in the coconut milk. Heat a non-stick frying pan to a med-high heat. Add a knob of coconut oil (or 1 tsp if it’s melted). Once the pan is well greased add a ladle of the batter mix. Once it looks like it’s mostly cooked through flip and cook for another 30 seconds on the other side. Remove from the heat and place on a cooling rack while you cook the rest of the batter. Now it’s time to get creative. GO.